What attracts you to working with ice? The idea of not thinking about the future – working with an ephemeral material and being in the creative moment. How do you make sure each year is different? Where do you find inspiration? Both new and old artists arrive for each new Icehotel build and they always challenge what is possible to create; that’s how I get inspiration. We also have a policy that nothing is repeated except the chandeliers. Describe your typical day during the building of the Icehotel? First thing I check my emails and meet with all the artists. After that, my day is spent consulting the teams, attending to whichever project I’m running myself and meeting with the press. Sometimes in the evening I serve dinner my house across the river I like to cook with local fish and game. 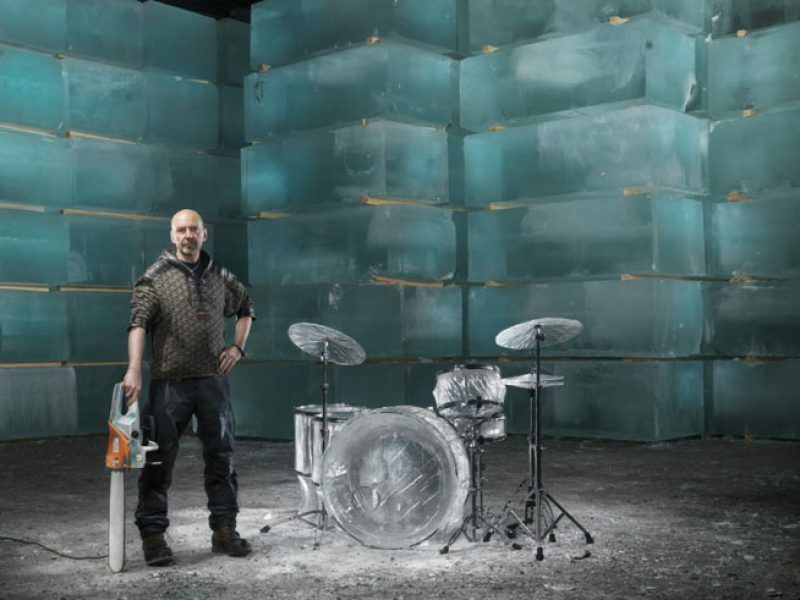 What has been your favourite design, Art Suite or ice creation so far? Hmm… difficult question! I get new favourites each year. My intention is that every new edition of the Icehotel should be the best, and so I do always fancy the new designs that interpret the ice and snow in a new way. What is your vision for the Icehotel’s future? To keep up the good work, never leaning back and trusting that we can just go on like before. To continue developing new techniques in building and to create more art! You can witness the creation of this exquisite hotel for yourself – choose from a range of itineraries including our classic 3-night Icehotel Break and a twin-centre holiday combining Icehotel with Abisko National Park. Don’t miss out on this winter’s Icehotel! Fly direct on our exclusive #IceFlight and discover the magic of the world’s coolest hotel for yourself! Contact our team of Travel Specialists for help planning your Swedish Lapland adventure including all activities and excursions.